Most banks today want to excel in the digital game, after all that’s where their customers are! And for much of the past decade, most leading traditional banks have incorporated scalable digital strategies. So what separates leaders from the laggards? Seeking the answer through various studies and industry reports; the leaders understand the importance of mobile in their digital strategy, they are developing more agile operating models and most notably they have integrated it as the cultural shift within their enterprise. These set them right on their path to become more client-centric and more inclusive. 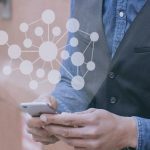 Most of these leaders demonstrate, future trends in digital banking, they’ve structured approach to digital with an understanding of how branch networks are evolving in an ‘omni-channel world’. For most of the leaders, the bank’s mindset is customer-first and are ready to invest more in the innovative IT platforms. These banks are testing leading-edge technologies at early stages, to understand their impact and promise to the overall digital thought process. Technological and organizational agility is crucial for banks. An agile digital platform is central to ‘digitization initiatives’ and banks’ operating models. The proliferation of new technologies and the faster time-to-market call for a flexible platform that helps in creating omni-channel experiences faster, and able to integrate them with various backends, databases and external services, seamlessly. 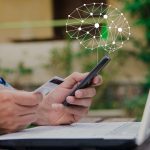 Keep looking this place for advancements, Streebo brings to help banks and financial services enterprise roll-out omni-channel applications faster, meeting their customer expectations. Take a look at the teasers; https://youtu.be/Y-2qTahSHck and https://youtu.be/Db9WNlAw548 and stay tuned to know about more advancements, our team at Streebo bring to help banks and financial services march successfully in their journey to the digital transformation.